Music Ministry exists to bring a fuller celebration of the liturgy to the congregation through ‘sung’ prayer. All those who have a love of music are encouraged to share their gifts by leading, supporting and enriching the assembly’s sung prayer. Choir members can sing at Mass on Saturdays at 4:00 PM. The Praise Band plays Sundays at 8:00, 10:30 AM and 6:00 PM. All are welcome! 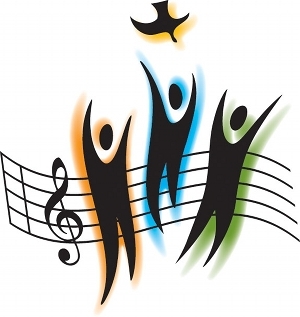 If you are interested in singing at the Saturday evening Mass, please contact Jeanne Dyjak, at 978-394-8894, or by e-mail at jeanneld34@gmail.com. If you are interested in singing with the Praise Band on Sundays, please contact Gary Williams, at 603-635-7669, or by email at garywendy6@comcast.net or stop by after Mass. Practice takes place on Thursday evenings at 7:00 PM in the Church. All musicians and singers are welcome.